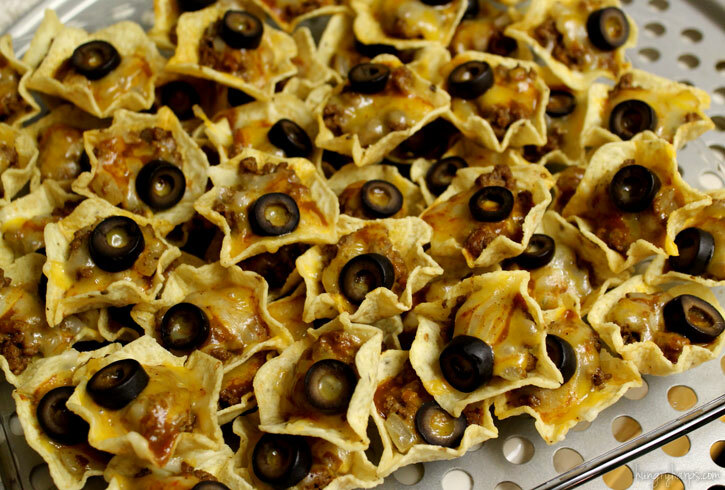 Hungry Harps: Enchilada Nachos with Tostitos Scoops! 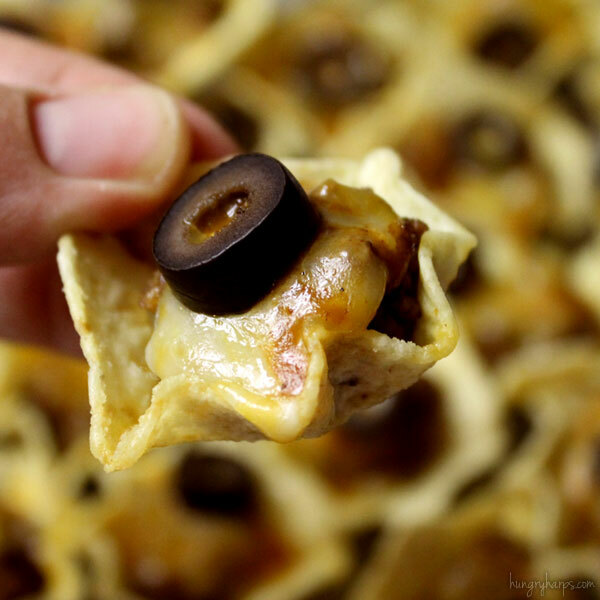 Enchilada Nachos with Tostitos Scoops! 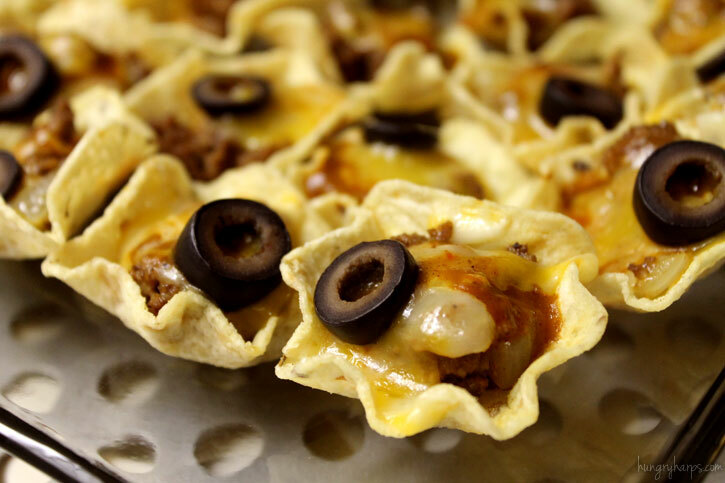 But regardless of the amount of time it took to whip up these Enchilada Nachos with Tostitos Scoops! - they were totally worth it. I had to tell my husband to take the plate away from me or else I was going to eat all of them. And then I still sneaked a couple more. Yep - that good. I ended up having to stack the chips on one another to fit them on the plate - but if you do it just right and stack them on their corners, they will travel nicely and not fall in to each other. Plus, I liked how they looked - more like real nachos. 1. Brown ground beef with onions, drain. Add taco seasoning and water. Bring to boil, lower temperature to low and cook for 10 minutes. Remove from heat. 2. Preheat oven to 350. Spread Scoops! out on baking sheet - making sure to only use ones that are full Scoops!, not broken or flat. 3. Put 1 full teaspoon of ground beef into each scoop. 4. Dollop each with enchilada sauce. I used a small spoon for this task. 5. Top with cheese. I squeezed the cheese together in my fingers before placing into the chips to avoid a melted cheesy mess all over the pan. 6. Add another dollop of enchilada sauce and then an olive (or more, if you like). 7. Bake for 15 minutes or until cheese is starting to bubble.